Ever heard of agave nectar? If not, you are missing out on an ancient natural remedy for skin issues. 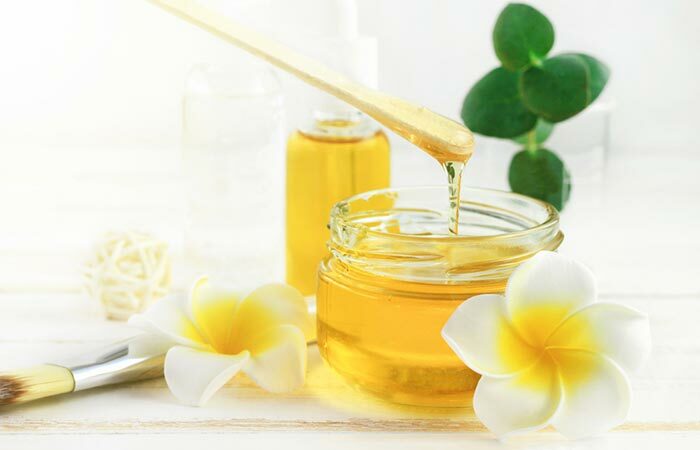 Agave nectar is extracted from agave, a type of succulent plant with sharp and protruding leaves that is best known for its skin soothing properties when used topically. It is used to heal wounds and other skin conditions. 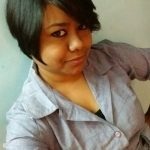 So, if you are looking to refresh and rejuvenate your skin, check out how Agave nectar can help you. Just keep scrolling! 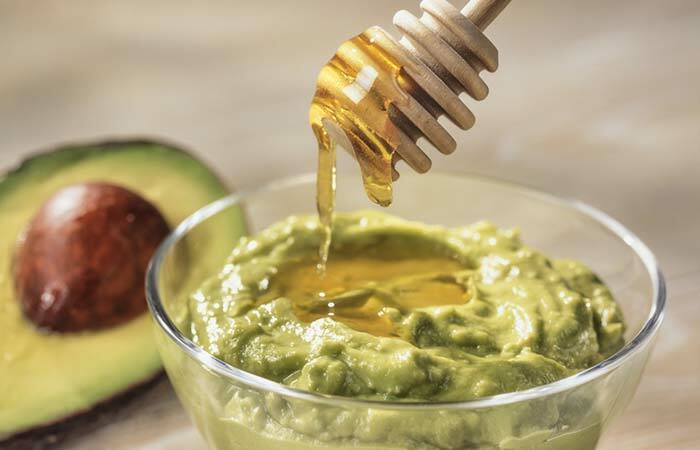 Agave Nectar: What Is It And How Does It Benefit Your Skin? Agave nectar (pronounced uh-ga-vee) is extracted from the agave plant (the same plant that is used to make tequila). 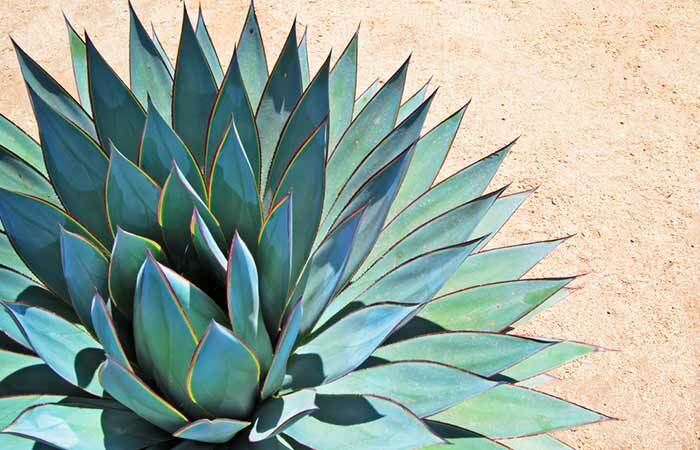 The razor-sharp spiked appearance of this succulent is quite intimidating, but underneath its tough exterior lies the solution to all your skin issues – agave nectar. Agave nectar looks similar to honey. It is widely used to sweeten drinks. However, just like honey, it also has healing properties. The ancient Aztecs regarded this plant as a gift from the Gods. They used the nectar for flavoring their food and drinks. It was also a part of their folk remedy. It keeps your skin moisturized, soft, and supple. It makes your skin appear plump and reduces the appearance of fine lines. When mixed with other ingredients, it gently exfoliates your skin. 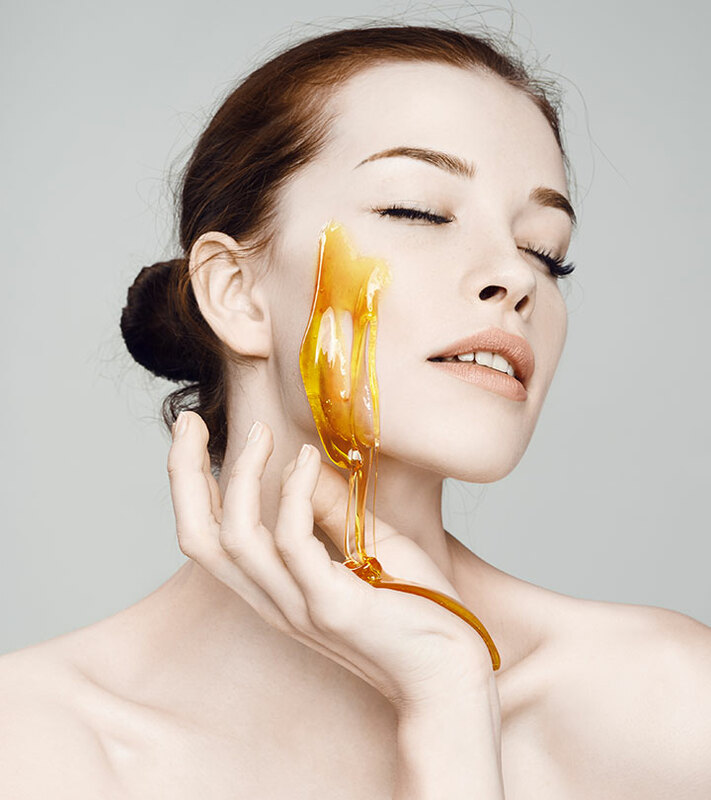 If you have dull and dry skin, agave nectar can bring it back to life. 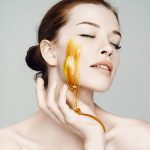 If you are dealing with a combination of skin concerns, agave nectar is an absolute godsend for you. 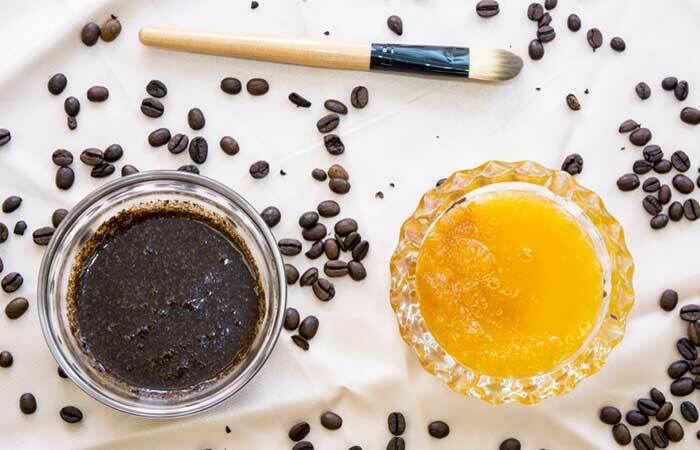 Here are a few DIY agave nectar face mask recipes that you can try out to reap the benefits of this wonder ingredient. Use a cosmetic brush to apply the mixture all over your face. You can also apply it on your lips as a lip mask. Leave it on for 20-60 minutes. Wet a washcloth with lukewarm water and wipe the mask gently off your face. Wash your face with a mild face wash and pat it dry. If you have dry skin, apply a skin serum or a light moisturizer. Note: This agave nectar mask may drip and stain your clothes. Make sure to cover up your clothes and cleanse your face properly. In a glass bowl, add the agave nectar and coffee. Use a spatula to mix them together. Use your fingers to spread the mixture all over your face, except for the delicate areas around your eyes. Massage the scrub gently in a circular motion with your fingers. Continue this for another 5-10 minutes. Wash your face first with lukewarm water then with cold water. Pat your face dry and apply aloe vera gel or a light serum. 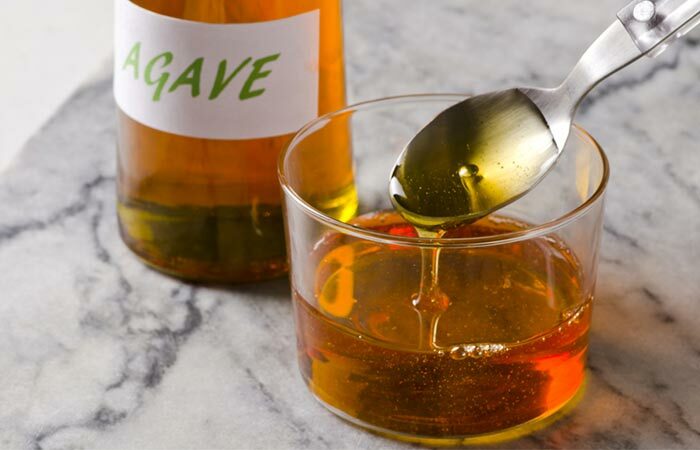 Mix the agave nectar and baking soda in a glass bowl. Wash your face thoroughly before applying the mask. Use your fingertips to apply the mask on your skin. Leave it on for at least 10 minutes or until it dries. Once it dries up completely, wet a washcloth and gently wipe the mask off your face. Apply a light serum or moisturizer (optional). Use your fingers to apply the mask generously on your face. Spread it evenly on your neck and face. Dampen the face mask with a bit of water and gently scrub it in circular motions before rinsing it off. Cleanse your face with a gentle face wash. Note: You can prepare this face mask and store it in a glass jar for multiple face mask sessions. However, don’t store it for more than a week. Mix all the ingredients in a bowl until you have a smooth paste. Use a cosmetic brush to apply the mask all over your face, including the area under your eyes. Let your skin soak in all the goodness of the mask for 30 minutes. These face masks are simple and effective and can help your skin bounce back to life. The ingredients are pretty easy to find and gentle enough to be used on even the most sensitive skin (just make sure to skip tea tree oil in the third face mask). 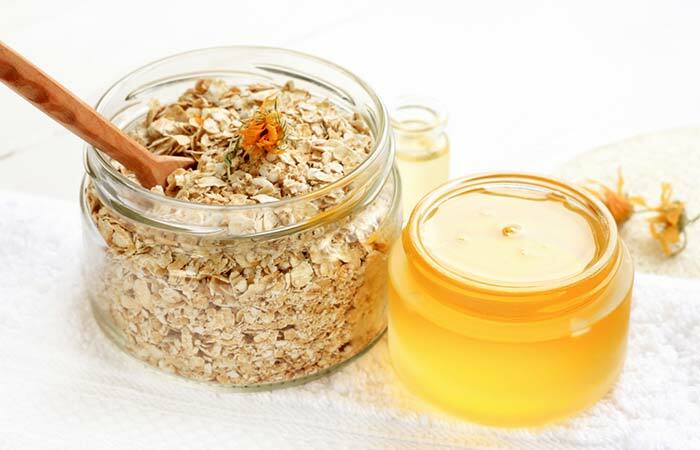 As these are DIY recipes, you can adjust the quantities of the ingredients as per the needs of your skin. Try them at home and let us know about your experience in the comments section below.